A new playbook promises to help mayors build and expand College Promise programs within their communities. The "City and County Playbook: How To Build a Promise" was the brainchild of the College Promise Campaign and Chris Cabaldon, a board member and the current mayor of West Sacramento, CA. 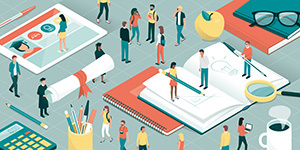 The report is intended to serve as a blueprint to help cities and counties create programs that fund the first two years of college for "hard-working students." College Promise is an initiative of Civic Nation, a nonprofit that takes up big challenges in government policy. Cabaldon was a driving force behind his own city's Promise program, "West Sacramento Home Run," which combines universal preschool, college savings accounts, paid internships and free community college for the first year for eligible students. As described in the playbook, the program is a partnership among the city, Washington Unified School District and Sacramento City College; it was approved by voters through a 2016 referendum. Sustaining the program, including recruitment of students, maintaining a public presence and tracking results. Numerous examples illustrate the lessons being shared. For example, Kalamazoo, MI, turned to free college 13 years ago as part of retaining and growing its population. The country's oldest College Promise program bases its scholarship level on how long a high school graduate has lived in the city. Students may use the funding for a public college or university or some private colleges. One study has suggested that Kalamazoo's program has helped increase the local population by nearly 2 percent, a surge that's "even generated a housing boom." "Cities, towns and counties with a well-educated workforce are happier, healthier and more prosperous than those ill-equipped for the employment demands of the 21st century," the report asserted. And local elected officials are "uniquely positioned to make a case for this crucial investment and to rally community leaders to develop Promise programs." The playbook is openly available through the College Promise website.